Can an Acquisition Pull This Struggling Tech Company Out of a Rut? Acquisitions can open up new opportunities and lines of growth for small companies. 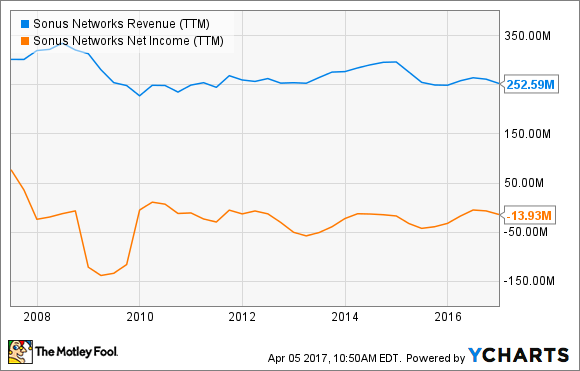 For Sonus Networks, a purchase it made last year has not yet had that effect. 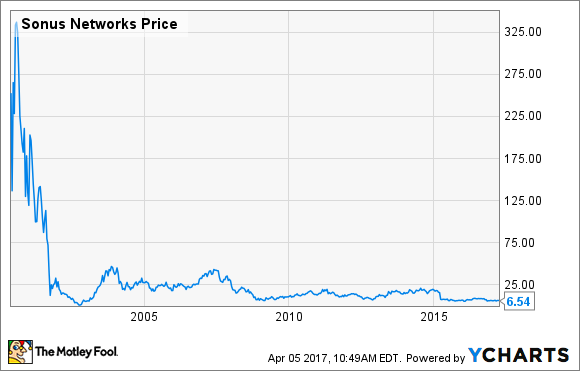 Communications technology company Sonus Networks (NASDAQ:RBBN) acquired a small company called Taqua last year for $20 million in cash. The reason for the deal was twofold: Taqua was complementary to Sonus' existing portfolio and well-aligned with its new growth strategy. Nearly seven months since the merger, here's a look at how things are working out. Sonus is a supplier of technology enabling online communications. Devices sold include session border controllers used to control voice and media signals sent and received via the internet. With the advent of the internet and new means of communication in the late 1990s, Sonus was off to the races. In the last decade, however, revenue has been stagnant at best and often inconsistent. The reason? Internet-based communications ended up not being the catalyst Sonus investors were expecting. Voice communications largely bypassed internet service providers and went mobile instead, helped in part by the advent of the smartphone. Sonus is now playing catch-up. Its new strategy is aimed at mobile network communications, and the purchase of Taqua helps accomplish that. Sonus Networks SBC 7000 session border controller. Image source: Sonus Networks. Taqua was primarily focused on building tech enabling voice over Wi-Fi and voice over 4G LTE (VoLTE). Wi-Fi and 4G networks are mostly used for mobile data connections, but many mobile providers like Verizon are now opening up their newest networks for higher-quality voice calls. Sonus is pitching its new VoLTE service as a way to reduce cost as mobile providers can offload older voice networks. This eliminates the need to operate two networks side by side, one for voice and another for data. It also increases end-user satisfaction with higher reliability and clearer phone calls as networks can be extended using a Wi-Fi or 4G signal. As a result, Sonus makes the case that its new LTE Calling service can help reduce what the telecom industry calls churn. Churn is a measure of the percentage of subscribers switching to a rival service in a given period of time. With mobile network growth slowing down, holding on to as many subscribers for as long as possible is the name of the game. Sonus is betting that the new services it picked up with Taqua will open up new lines of revenue and help the company return to growth as mobile providers make a full transfer to 4G and Wi-Fi signals. Taqua revenue was $25.2 million in 2014 and $28.3 million in 2015. The company made $0.1 million and lost $0.8 million in 2014 and 2015, respectively. It had $16.8 million revenue in the trailing 12 months as of June 30, 2016, with a GAAP operating loss of $10.8 million in that period. While Taqua's profit was lagging, the revenue had the ability to help pull Sonus out of the rut it's been stuck in for some time, as the 2015 number would have added about 11% to Sonus' top line that year. But so far that hasn't happened. In its first quarter with Taqua in the fold, revenue fell year over year by 11%. In part, that's because the acquisition generated only $1.9 million in revenue from the Sept. 26 purchase to the end of the fiscal year three months later. Going forward, management will not break out Taqua results separate from the overall company's. "I would point to Taqua more as a strategic contributor than a financial contributor right now ..." said CEO Raymond Dolan on the Feb. 15 conference call. Sales from new projects is expected to be choppy as well, lacking the consistency needed to do year-over-year comparisons as Sonus tries to gain new ground in the world of telecom. As a result, the top line was forecast to only grow by low-single digits at best in the year ahead with continued bottom-line losses for full-year 2017. Sonus' new strategic direction and acquisition to support it sound exciting, but any results have been slow to transpire. Mobile service providers are making the transition from old networks to new ones, and Sonus' CEO said the company recently won deals in Latin America and South Africa as a result of its new services. But with internal expectations still muted, it looks like the Taqua acquisition isn't enough to take Sonus to the next level yet.